Prepare an effortless spread complete with appetizers and more from the rich Mediterranean flavors found in this generous Italian gift basket. Delight in Fiesta Fioretti artisan pasta tossed with extra virgin olive oil and a savory garlic basil pasta sauce. 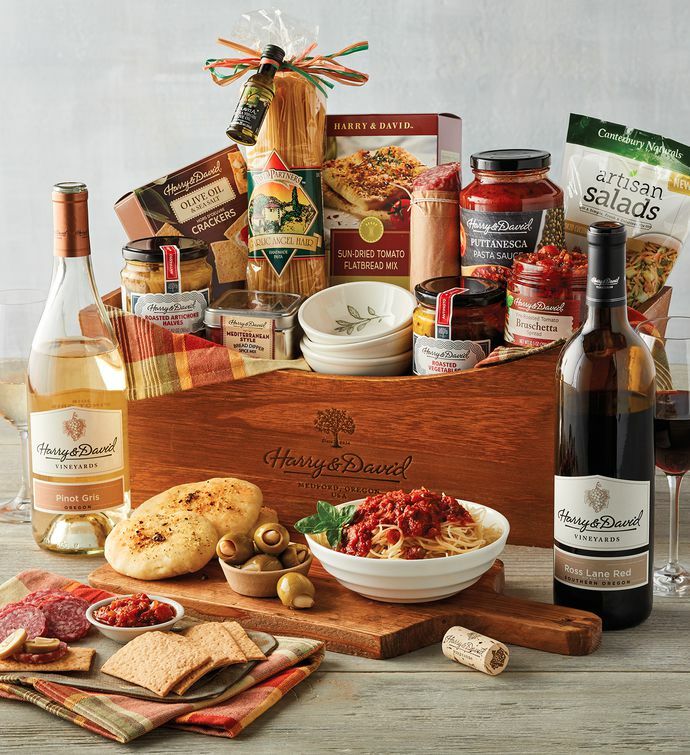 Complemented by bottles of Royal Crest Red blend and 2017 Pinot Gris, this gift basket also includes a variety of delicious side dishes, including four-cheese risotto and more.